Major championship marathons are unpredictable for three main reasons. 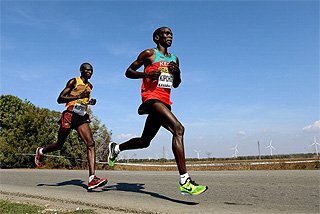 Firstly, most top road runners tend to do just one or two marathons in any twelve-month period, making their form difficult to assess. 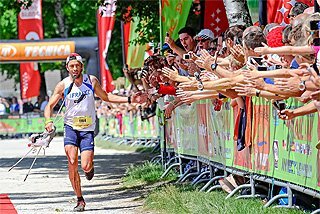 Major championships are also held in the peak of summer, which conflicts with the spring and autumn road-running seasons. And finally, the conditions at many major championships aren’t always conducive to marathon running. 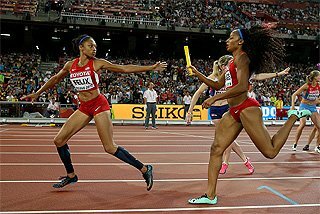 But taking all of that into consideration, there is still a small number of women who look poised to perform well on the streets of Rio. 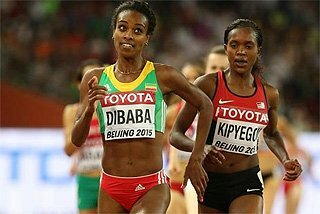 Ethiopia’s Mare Dibaba underlined her big-time credentials when winning the marathon at the IAAF World Championships Beijing 2015. In one of the closest championship marathons in history, Dibaba edged ahead of Kenya’s Helah Kiprop and Bahrain’s Eunice Kirwa to take gold in the Chinese capital. The 26-year-old hasn’t been quite at her best this year, though. She was third at the Houston Half Marathon in 1:07:55 in January and then placed sixth at the London Marathon. She hasn’t raced since then. All three medallists from Beijing will be reunited in Rio. 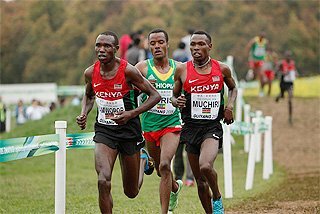 Kiprop heads the Kenyan trio which also includes London Marathon winner Jemima Sumgong and Paris Marathon champion Visiline Jepkesho. Six months after taking silver in Beijing, Kiprop smashed her personal best to win the Tokyo Marathon in 2:21:27. Her last race before heading to Rio was a convincing 1:08:36 half-marathon victory in Zwolle two months ago. 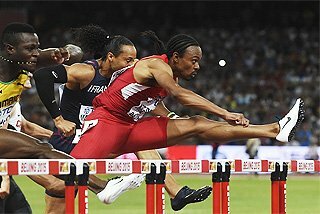 Sumgong, who finished fourth at last year’s World Championships, has also been impressive this year. Before defeating a quality field at the London Marathon, she had set a half-marathon PB of 1:06:58 in Ras Al Khaimah. 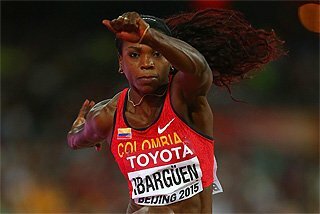 More recently, she won over 10km in New York in 31:26. She may not be a household name, but in recent years Kirwa has quietly established herself as one of the most consistent marathon runners in the world. She has won all of her races this year, including the Marugame Half Marathon where she set a PB of 1:08:06, and the Nagoya Marathon in March. Dibaba is joined on the Ethiopian team by Tirfe Tsegaye and Tigist Tufa. Tsegaye clocked a world-leading 2:19:41 to win the Dubai Marathon at the start of the year and then finished second at the Boston Marathon. 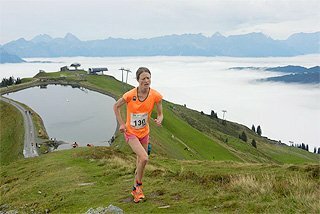 Her eighth-place finish at last year’s World Championships will have given her valuable experience of a championship marathon. Tufa’s only race this year was a second-place finish at the London Marathon in 2:23:03. A 2:21:52 runner at her best, the 29-year-old finished sixth at last year’s World Championships, having won the London Marathon earlier in the year. 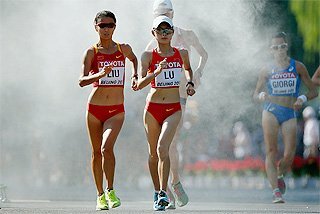 After winning the Osaka Marathon in 2:22:17, Japan’s Kayoko Fukushi looked capable of breaking up the dominance of the African-born runners in Rio. 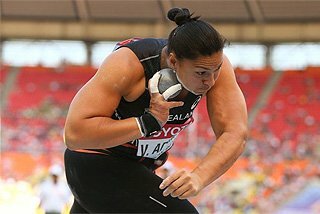 But the 2013 world bronze medallist picked up a foot injury at the Gifu Seiryu Half Marathon in May and was forced to withdraw from some of her scheduled races in June and July, so she may not be at her best in Rio. Since finishing third in the US trial race back in February, Shalane Flanagan has gone on to set PBs over 10km (30:52) and the half marathon (1:07:51). 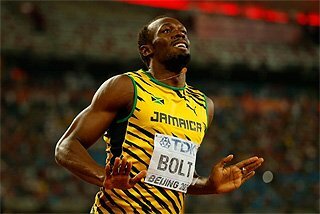 This will be the fourth Olympics for the 35-year-old, who took bronze over 10,000m in 2008 and finished ninth in the marathon in 2012. Former race walker Olga Mazuronak could be the surprise package. The Belarusian finished strongly at the London Marathon to take third place in a personal best of 2:23:54. She hasn’t raced since then, but if she is anywhere near her best form, she could be a danger in the closing stages. Portugal’s Sara Moreira warmed up for Rio by winning the half-marathon title at the recent European Championships. 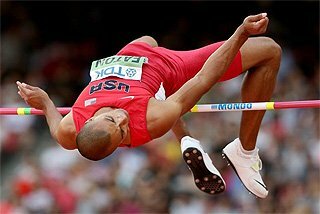 Having contested the steeplechase in 2008 and the marathon in 2012, the 30-year-old will be hoping to make an impact in her third Olympics. Veterans Christelle Daunay of France and Jelena Prokopcuka also cannot be discounted.